For a long time now, teaching and social science professionals have expressed to us their interest in learning new methodologies that could be applied to their work in community contexts. Theatre that has its roots in popular and community theatre, and popular education principles, is a powerful tool for this work. In Chile, the fabric of community life is very damaged. When people come together, when people relate through games and affective contact, they create the links needed to dream and activate a more caring society. No-one can resist the power of laughter; and we all like the feeling of really being listened to. 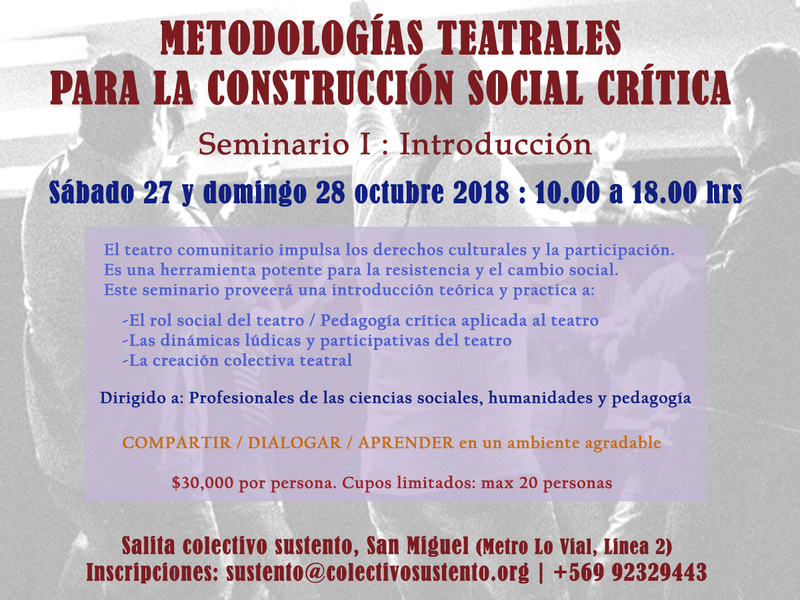 This theoretical/practical seminar -“Theatre methodologies for critical social construction”- directed by Colectivo Sustento, offers a two-day introduction to the central concepts of our methodology: theatre games, collectivity and critical social reflection. It is the first of a series of three seminars that aim to pass on some of what we have learned during many years of theatre work in community contexts. Two days of playfulness, exchange and debate that we believe will be very useful for people working in diverse Chilean communities. It has been a journey, a challenge, a road that has taken us where we never imagined we would go. 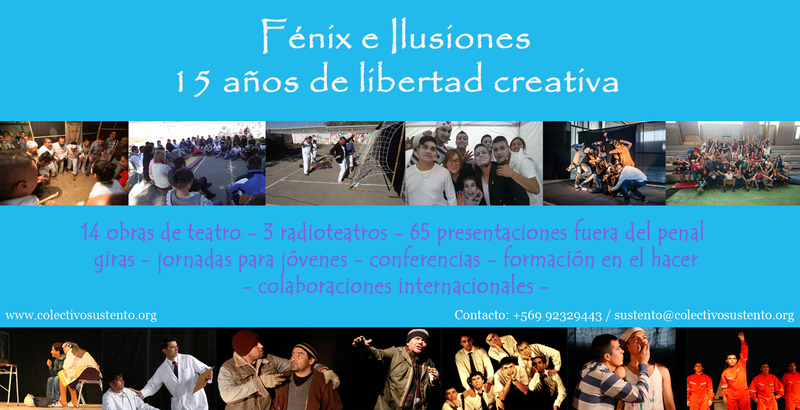 Fifteen years have passed since Fénix was born in the Colina 1 prison, Ilusiones was born in 2005, and together the groups have created 14 plays, 3 radio plays and have performed 65 times outside the prison. The work has been continuous and ever-developing in response to the group’s needs and proposals. This is how we arrived at the direct work with young detainees, which is now a central focus of both Fénix e Ilusiones and Colectivo Sustento. The celebration in the Colina 1 prison brings together three theatre groups directed by Colectivo Sustento: Fénix e Ilusiones (extract from their new play about truncated childhood), Classroom 2 (theatre group from the prison high school) and Fénix e Ilusiones en Libertad (men who were members of Fénix e Ilusiones and are now in freedom, with their remount of the 2012 play “Chronicles of a Foretold Ignorance”). We have received greetings from around the world, and to finish off the celebration, there will be the iconic open forum that is a part of all our public events, where we share experiences and reflections about community theatre in prison and beyond, and the social role of theatre in general. A big thank you to all Fénix e Ilusiones past and present, to members of Teatro Pasmi and Colectivo Sustento, and to all the collaborators and supporters that have made this experience what it is today. 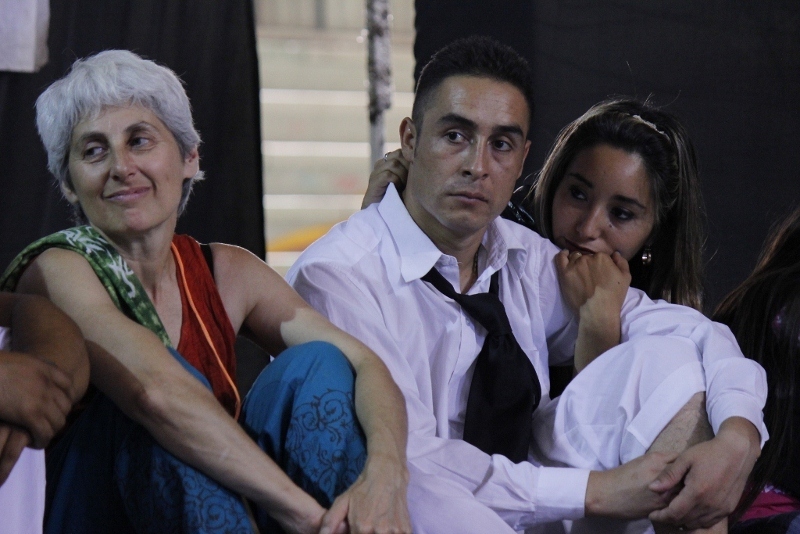 Fénix e Ilusiones in the 2012 International Community Theatre Festival ENTEPOLA. Sowing the Future in our YouTube Channel. We are proud to announce the release of another documentary about our work, made in 2015. 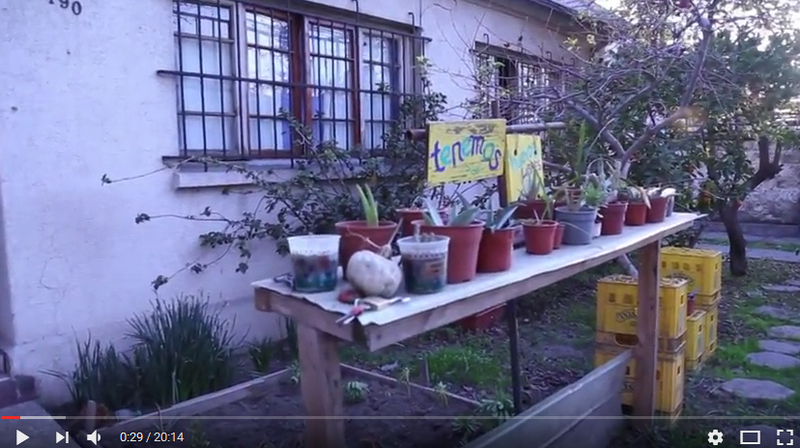 It tells the story of two gardening workshops run in juvenile detention centres in Santiago: the Chilean Juvenile Service centres in San Bernardo and Calera de Tango. The documentary is a Colectivo Sustento production: directed and edited by Bárbara Fuenzalida, and filmed by Bárbara, Carolina Vera and Richard Maldonado. These workshops were a direct result of the 2014 “Modecate” Tour. 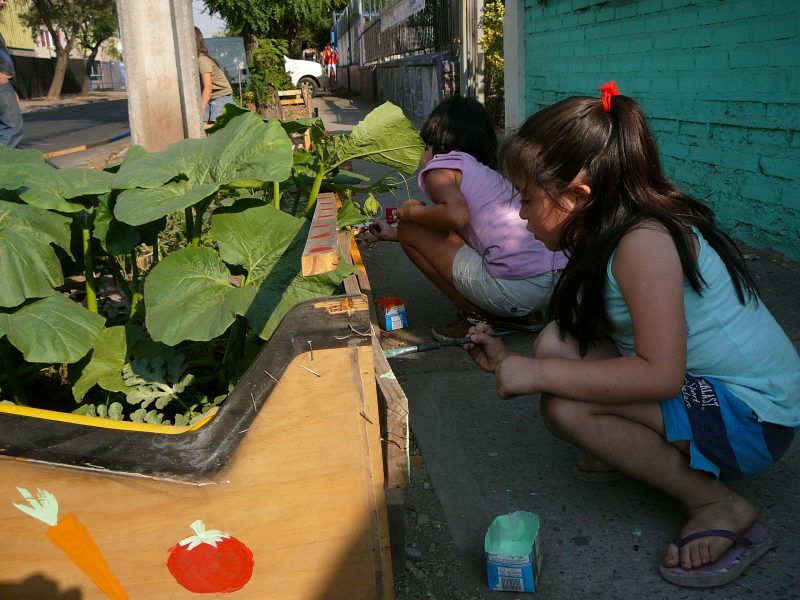 The boys in the San Bernardo centre asked us to return with a theatre workshop, but this proved difficult, so we decided to return with four months of gardening workshops. Later, we added the Calera de Tango centre to this project, where the objective was to help establish their community garden. 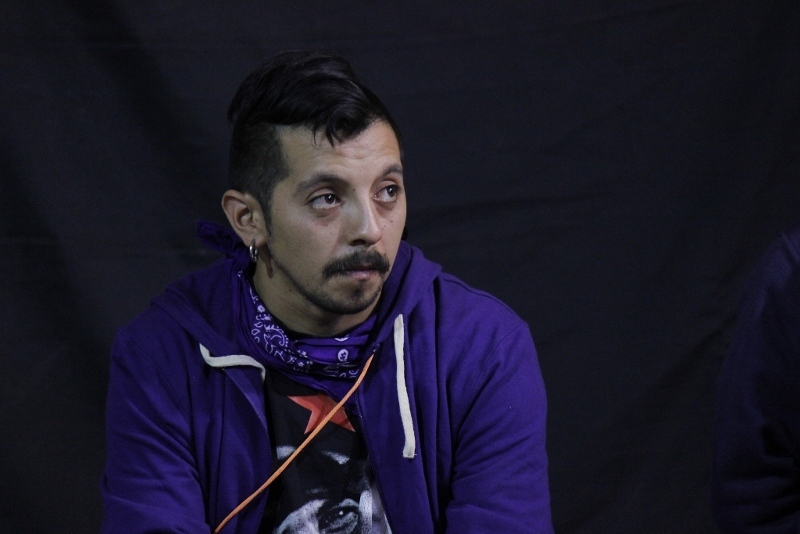 The workshops were directed by Gabriel Jiménez, ex Fénix e Ilusiones, working with Colectivo Sustento, and our long-time volunteer and school gardens teacher Mo Stenger. As always, working as a double, we combined technical experience with the “voice of experience”. The gardening was a pretext to start a conversation with the young men and boys in the two centres, and to provoke reflection about their life choices, as well as introduce them to the beauty and practicalities of growing your own food. This documentary was made possible by a crowdfunding campaign on the Pozible platform, with donations received from 40 friends, colleagues and family in Australia, England, New Zealand, Canada and the United States. Thanks to you all! After a break of three years, Fénix e Ilusiones and Colectivo Sustento return to the massive Entepola stage, the Pudahuel amphitheatre, with an audience of nearly 2,000 people. On the 26th January 2017, we performed “Lysistrata”, our group-devised satire about gender violence, to the Pudahuel audience as part of the programme of the 31st International Community Theatre Festival-Entepola. 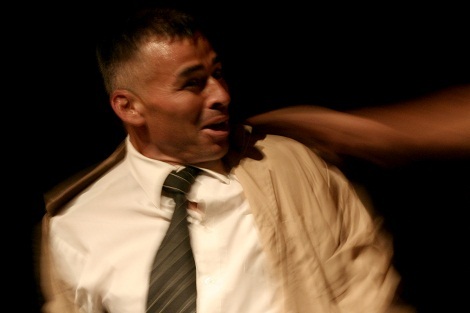 This presentation ended 14 months of performances, for a variety of audiences in: juvenile detention centres, community programmes for young offenders, the San Miguel women’s prison, a special performance for Latin American theatre workers at Entepola 2016, and at the “Arte Libre (Free Art)” festival organised by Gendarmería Chile in the central Santiago square, la Plaza de la Constitución, with the famous Moneda Presidential Palace as backdrop. In the audience were many family members, colleagues and ex-Fénix e Ilusiones who had performed on that very same stage. 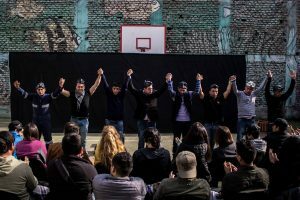 It was the eighth time we have performed at Entepola, a festival that receives us with open arms, and ethically presents us simply as a theatre company from Chile, without mentioning the prison. It is only after the show, after the applause has died down, that the audience is told the group is from the Colina 1 prison. Our theatre is received for its theatrical strength, without sensationalism nor exoticism. Not all members of Fénix e Ilusiones were given permission to perform at Entepola, but from the stage we remembered them and sent them a huge round of applause. Thank you to everyone who made possible this new achievement in our story. 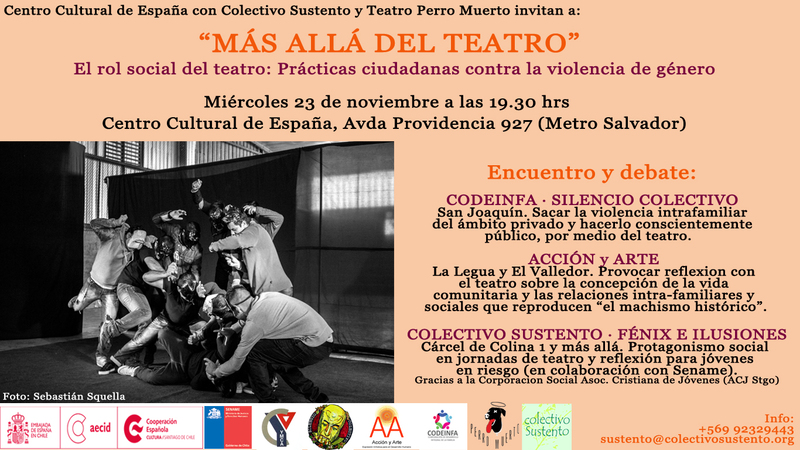 Colectivo Sustento, in collaboration with the Spanish Cultural Centre and Teatro Perro Muerto, coordinate the first event of “Beyond theatre: The social of theatre”, as part of the commemoration of the International Day for the Elimination of Violence against Women. 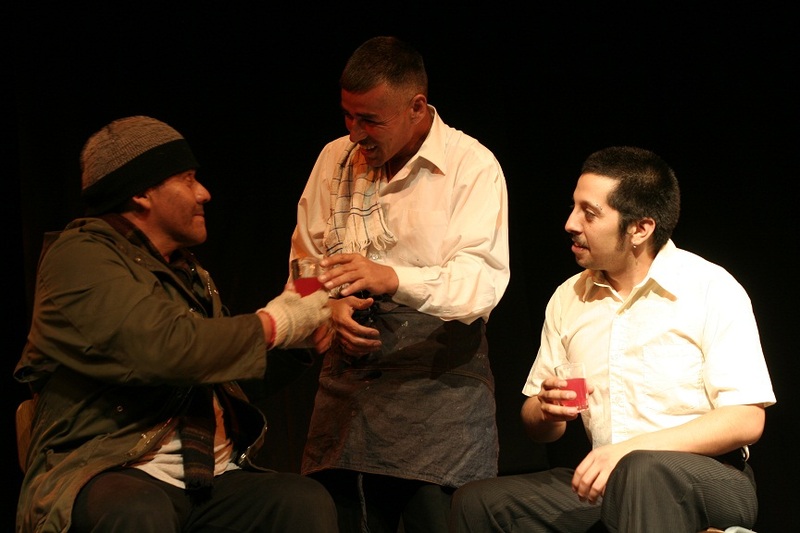 There has been much said about Chilean theatre workers’ distancing from a social role since the end of the dictatorship. Nevertheless, many groups have continued to work in communities around the country, supporting their work through economic juggling and self-generated finance. 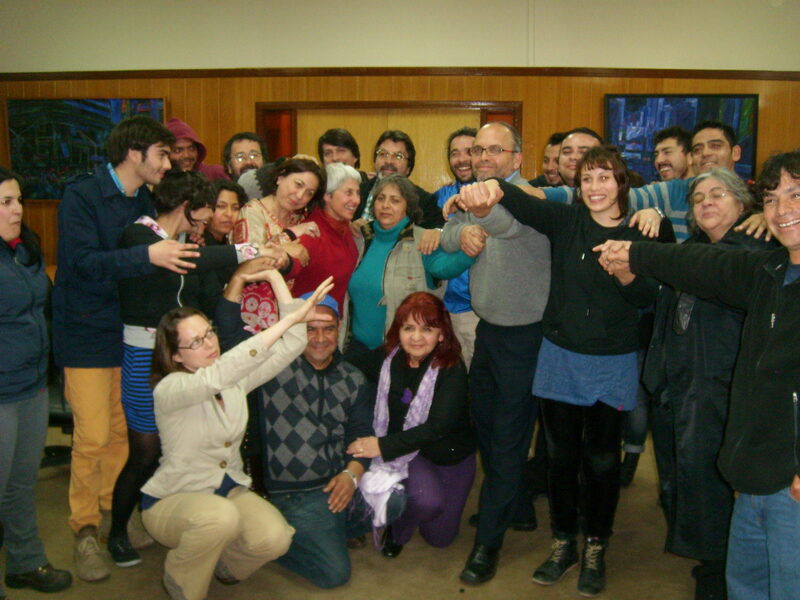 The debate brings together 3 experiences in Santiago and an audience of community theatre workers and participants to debate about the social role of theatre, theatre beyond theatre. 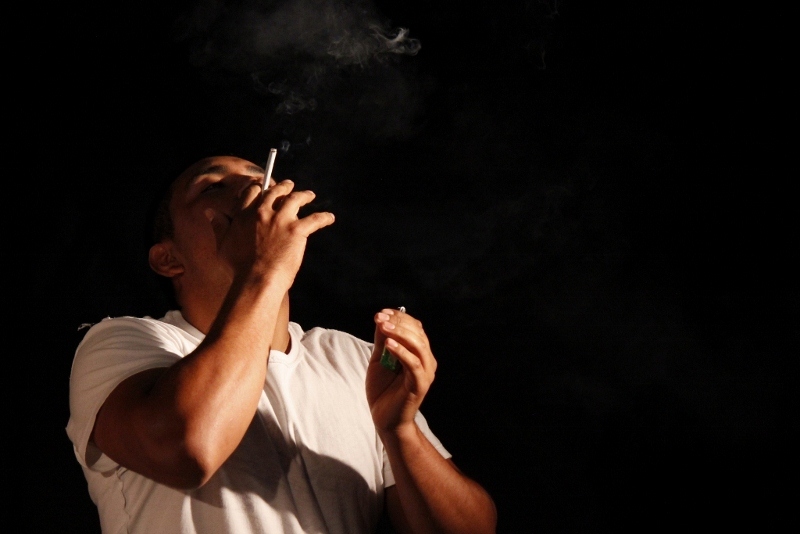 We talk about our work with “Fénix e Ilusiones” directed towards young offenders. 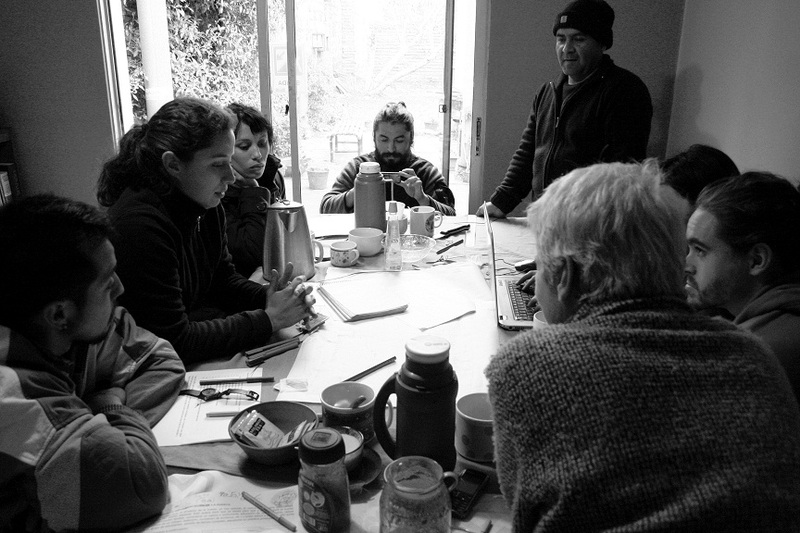 “Beyond theatre” is also a way of narrating our work in images and words, an idea in progress with the Teatro Perro Muerto photographers: Paul Osses / Sebastián Squella. Speakers: CODEINFA-Silencio Colectivo; Acción y Arte; Colectivo Sustento-Fénix e Ilusiones. Our thanks to: Sename Metropolitano, Corporación Social Asociación Cristiana de Jóvenes ACJ. Between March and July 2016, our group-devised play about gender violence “Lysistrata” (premiered at the end of 2015) went on tour to juvenile justice programs. In March and April we ran “Theatre and Reflection Days” in the 4 houses of SENAME’s San Bernardo Juvenile Detention Centre, this time accompanied by “Hijos del Rigor” (Sons of Severity) the youth theatre group we were directing in the centre’s House 3. Interestingly, the boys had also chosen the theme of violence (in the family) for their short physical piece, performed to a background of techno music chosen by them. We continued with the format we had devised in 2014: theatre performance (of both plays in the San Bernardo centre), followed by theatre games and ending with an intimate forum with the boys and house staff. Throughout the 5 hours we spent with each group, through the laughter and play, the adult prisoners were able to build a rapport with the young people so that when it came time for the forum, bonds had already been formed and a real dialogue was possible. 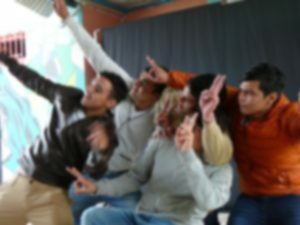 In July we took the Theatre and Reflection Day to a YMCA youth program in Estación Central, where young offenders were completing sanctions in the community rather than being locked up. Young people from various YMCA programs came together for the day. The dialogue was different, somehow more open, the kids were living day to day the difficulties that would mark their decisions and future lives. We hope that through the “voice of experience” and the pretext of theatre, we had perhaps influenced these decisions. We thank Javier Aguirre from the Chilean Youth Service SENAME yet again for supporting the coordination of this tour. Sharing the Collective in our YouTube Channel. We are proud to announce the release of our first longish documentary, a window into Colectivo Sustento. 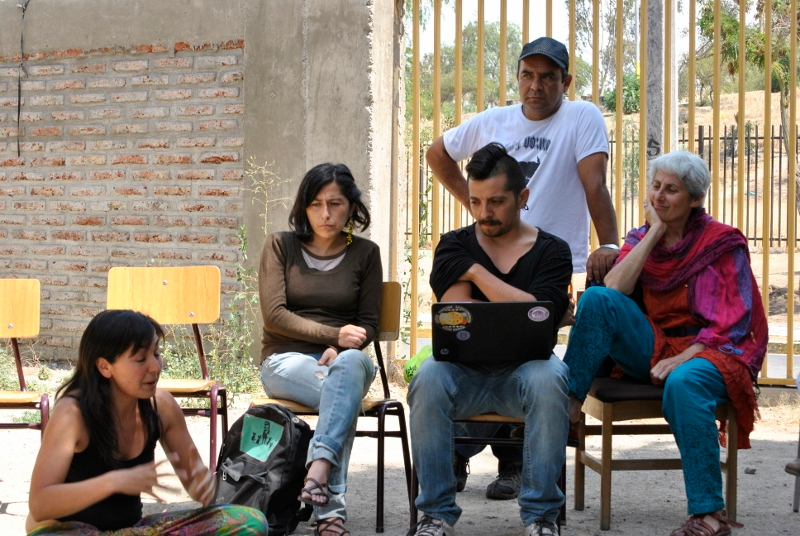 It tells the story of two 2015 collaborations: a theatre exchange in the Colina 1 prison between Fénix & Ilusiones and Mary O’Neill and Nikki Mailer, community theatre workers from Manchester; and the building of a natural water filter in our community garden with the Women’s Bio-construction Collective (María Pinto, Chile). The documentary is a Colectivo Sustento production: directed and edited by Carolina Vera (with Rocío Huenchullán), and filmed by Carolina and Bárbara Fuenzalida. Collaboration and reciprocity are at the heart of our work, they are key elements for us, both philosophically and ethically and support our sustainability. Whether it is in the prison theatre experience or our community garden, we seek out and develop long-term two-way relationships with like-minded organisations and individuals who also are working in resistance to the neo-liberal, competitive and individualistic system that separates us and diminishes the importance of collective endeavour. This documentary was made possible by an injection of funds from Mary and Nikki, for which we will always be very grateful. SEEDING AUTONOMY crowdfunding… Pledges are closed, now we are receiving direct donations. WHY WE NEED THE FUNDS: After 3 years, our self-generated strategies – bimonthly community market days (Feria Sustentina), sales of monthly baskets of country to city organic products, as well as seasonal products from our garden (Fair Produce/Víveres Justos) – have created a network of supporters who wish to eat organic and also support an autonomous alternative. We now need extra financial support to develop the process further, to generate more income, and to expand the educational and community possibilities of the garden. This development is not possible at our present level of income. 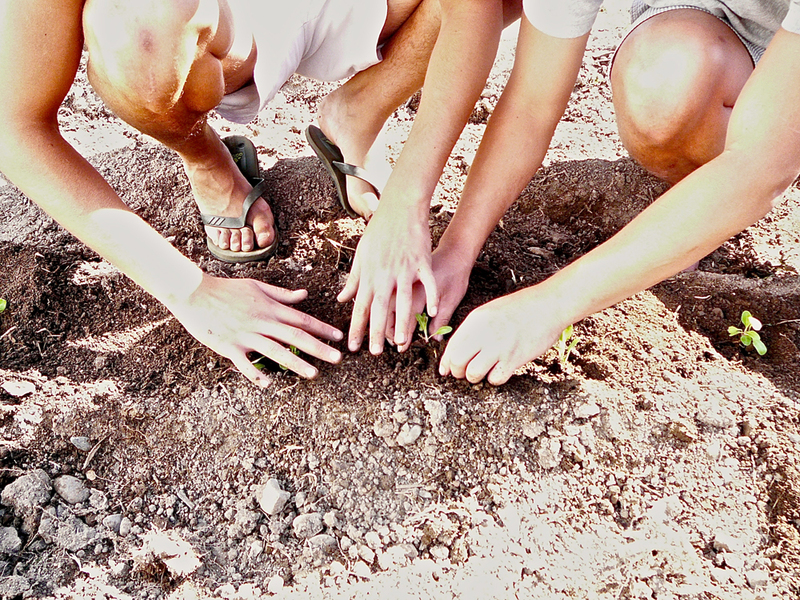 At the end of 2014, we ran a very successful crowdfunding campaign to cover the costs of community garden projects in 2 juvenile detention centres. This was the next step on from the “Modecate” tour. Here is the link to the campaign outline.